A collection of pieces for three parts in first position. 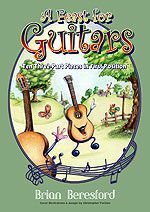 The 10 pieces provide learners with opportunities to play with others and to develop an appreciation of guitars played in harmony. Playing each piece also helps to reinforce technique learnt in the early stages of classical guitar tuition. 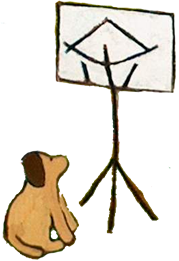 Many tutor books teach basic techniques but don't go on to give learners the music needed in order to play in parts with others of a similar standard. A Feast for Guitars does just that. The varied, enjoyable pieces are ideal to perform in concerts, assemblies etc. The whole set is ideal for early ensemble material. When I play 'Late Summer Picnic' I feel really happy inside. This collection of ten short pieces for three guitars is a real gem, with good use of traditional and modern harmonies within a variety of styles. Tried and tested, a much welcome addition to the beginners' ensemble repertoire. I have indeed found it to be a very useful book, not only for young classical students but students of the acoustic and electric guitar also.